Every magazine I read says to throw out my square-toed shoes. But I’ve got a nice pair that I wear with my favourite suit, and I don’t want to part with them. They weren’t cheap. No one has ever said an unkind word, and I know fashion trends change all the time. 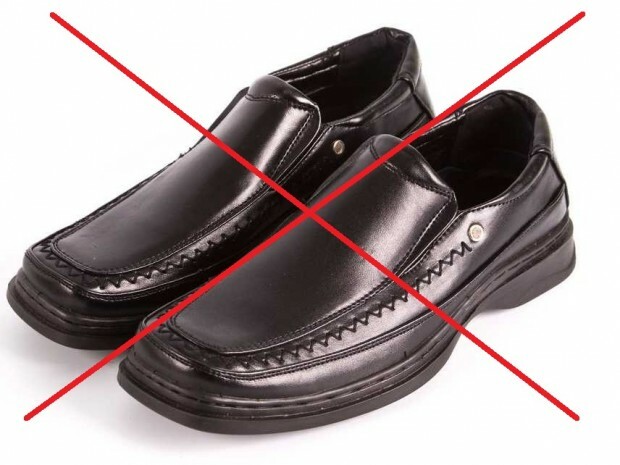 Can I keep my square-toed shoes? I know it can be difficult to part with something that may be out of style but still in good condition, especially when that item cost a pretty penny. And, yeah, fashions change all the time. This is one reason why I never tell people to chuck out all of their three-button blazers. But, in regards to the square-toed shoes, it’s time to simply let them go and consider them a write-off. Whereas some men can work a three-button corduroy, those shoes aren’t just “out of vogue”, they’ve become a style that make most people cringe. They aren’t coming back into style, so just move on and stick with classics. Besides, you don’t want to look like a duck in a suit. What Was Your “Defining Moment”?